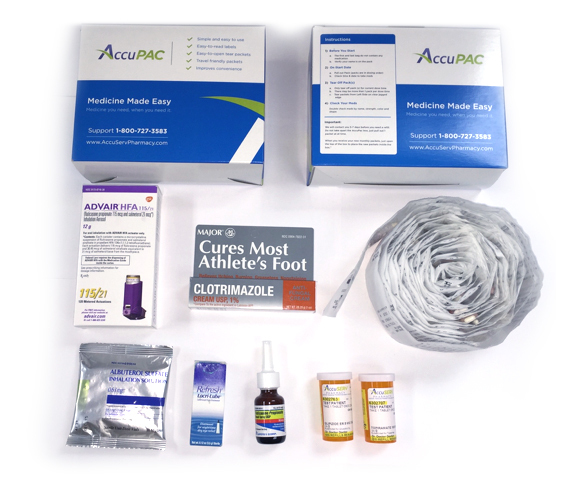 AccuServ Pharmacy® is offering your patients our AccuPac® pill packaging. 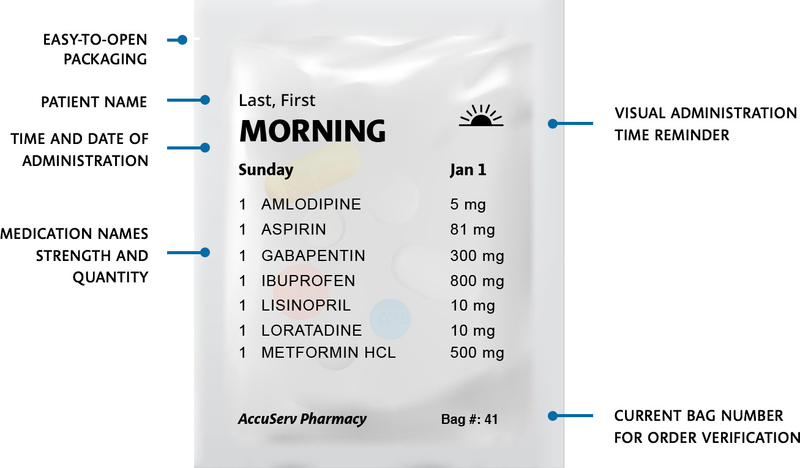 Your patient’s medications will come pre-sorted based on the time of day they are to be taken. 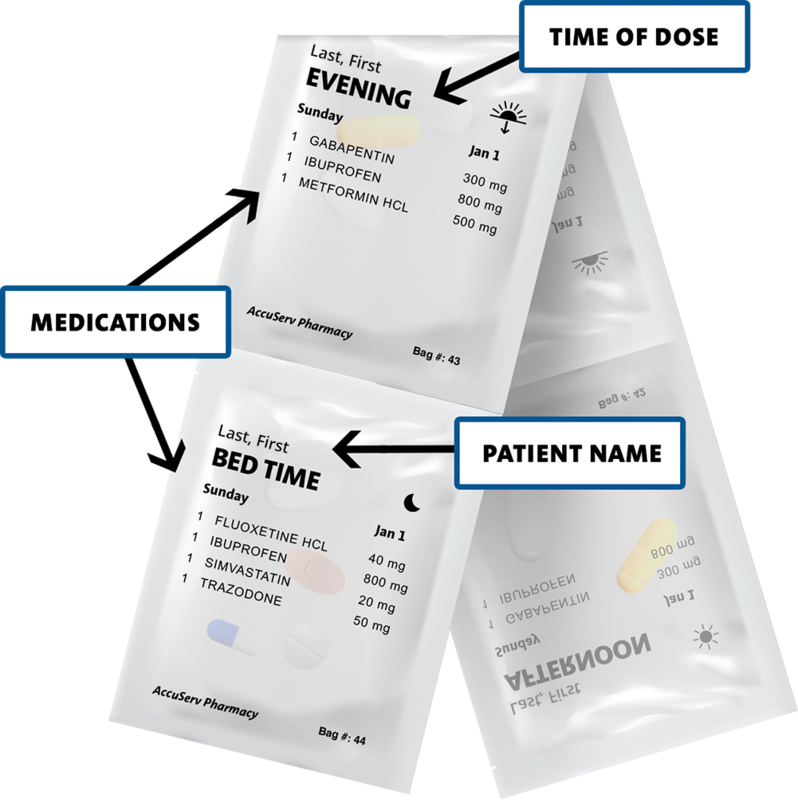 Each prepackaged packet is clearly labeled with the medication names and the time of dose. Taking their medications has never been easier! Our Pharmacy Team Takes Care of Everything. You don’t need to get new prescriptions to use AccuPac®. We’ll transfer your prescriptions from your previous pharmacy and call your doctors for any prescriptions that need refills. Once we’ve transferred your prescriptions, we’ll set your start date and continue to add your medications to future AccuPac® shipments as you run out of your existing supply. We deliver your medications every month in a discreet box. We will monitor your shipment to make sure it always arrives on time. Your Medications Delivered at no Additional Cost. All Your Pharmacy Needs Delivered Directly to Your Door.